A quintessential trek for trekkers, the Hampta Pass trek is tailor made for those looking to experience the Himalayan adventures! The easiest access point for this trek is in Manali at an altitude of 14,100 ft, unlike most treks that start from a remote village. Flourished with thick alpine forests, sprawling meadows, glacial valleys, this trek packs the punch of an idyllic adventure in the Himalayas. Another exemplary feature is the passage through the captivating Rohtang Pass that stands at an altitude of 13,000 feet and is enveloped in snow throughout the year, the best time to visit is in August to September. The trail crosses the small villages of Hamta and Sethan. 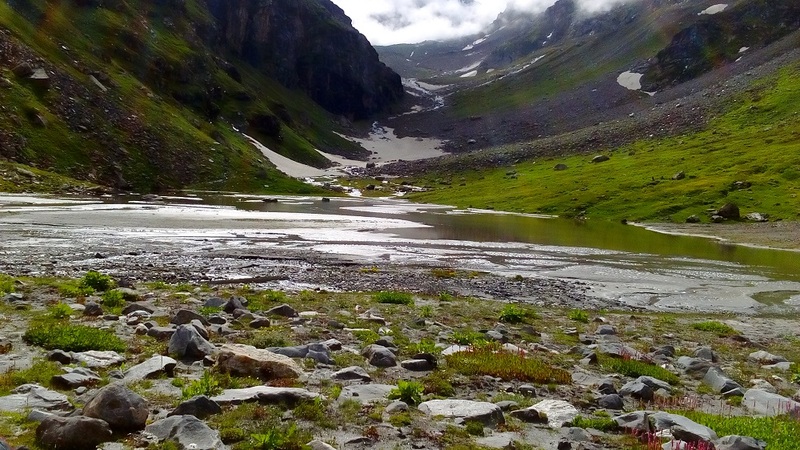 Hamta pass offers a magnificent view of Deo Tibaa 19683 ft and Indrasan 20404 ft. The program also includes visit to Chandertal, a crescent shaped lake from which it’s named derived (moon like lake). It is situated at an altitude of approx. 14,100 ft. The surrounding of the lake consist of mountain scree on one side and a Cirque on the other, the lake itself is a part of a beautiful on which various varieties of wild flowers can be seen during spring season. 15 Miles Base Camp Dist- Kullu (H.P.). # Day 02: Training & Acclimatization walk and guidance & briefing for packing bags for higher camps. # Day 07: Siagouru to Chattru (9512 feets) (9 kms, 3 to 4 hours downhill walk to Chattru. Transfer from Chattru to Chandertal by Jeep and back (Night Stay at Chattru). # Day 08: Chattru to Kullu basecamp (transfer by bus/jeep via Rohtang Pass & overnight stay at Kullu basecamp) & Certificate Distribution and Recreation Ceremony. This expedition is open to YHAI members who are 18 years to 60 years old. This condition will be adhered to strictly. Under age will not be considered in any case. Online Booking: Members desirous of joining this programme may apply online by paying requisite program fee along with online booking amount .We accept Net Banking, Debit Card and Credit Card payment on www.yhaindia.org for online payments. After successful transaction Admit Card will be generated. Participant has to carry "Admit Card", "Trekking Medical Certificate" (medical will be submitted at the time of reporting and should not be issued more than 30 days) & "Membership Card"(Print out of membership card may also be accepted) at the time of reporting to the Base Camp. ll Offline Booking confirmation is subject to availability of seats. National Office will send the Admit Card along with confirmation letter to the participant at the address mentioned in "Trekking Registration Form". In case you are unable to join this trip you will get 50% of the program fees i.e.Rs.3750/- which will be refunded post completion of the program within 30 to 45 working days, provided your online cancellation request is received before 25th July, 2019. Participants who have booked online should cancel online on or before 25th July’ 2019. • Any unforeseen event / strike or natural calamity/ unfit medical condition will not be considered as a cause of cancellation. Refund will be given after completion of the programs. * Food & Supplies: YHAI provides nutritious, vegetarian and good quality meals which includes Morning tea, breakfast, packed lunch, evening tea (in the camp), and inner and after dinner tea/coffee/Bournvita, shall be provided. Please bring your own plates, mugs, spoons etc. Accommodation will be provided on sharing basis during program. • Tented accommodation at all camp sites. Cotton Shirts, Slacks, Cotton Pants, Rain coat, Good Woolen sweaters or Jackets, Woolen Inners, Sun Cap, Trekking Shoes, Socks woolen and cotton, Gloves Enameled or Steel Mug / tumbler, Lunch box, Plate, Spoon, Water purifying tablets, Pen knife, Needle, Thread, Spare buttons, Goggles, Cold Cream / Vaseline, Soap, Toilet Paper, Tissues, Towel, Medicines normally used at home for (cold, cough, vomiting etc. ), Camera and any other material for your personal use. Extensive and painstaking preparations have gone into the planning of Trekking Hampta Pass route for your safety. Our field staff and experienced camp leaders have visited the area to check all details thoroughly. 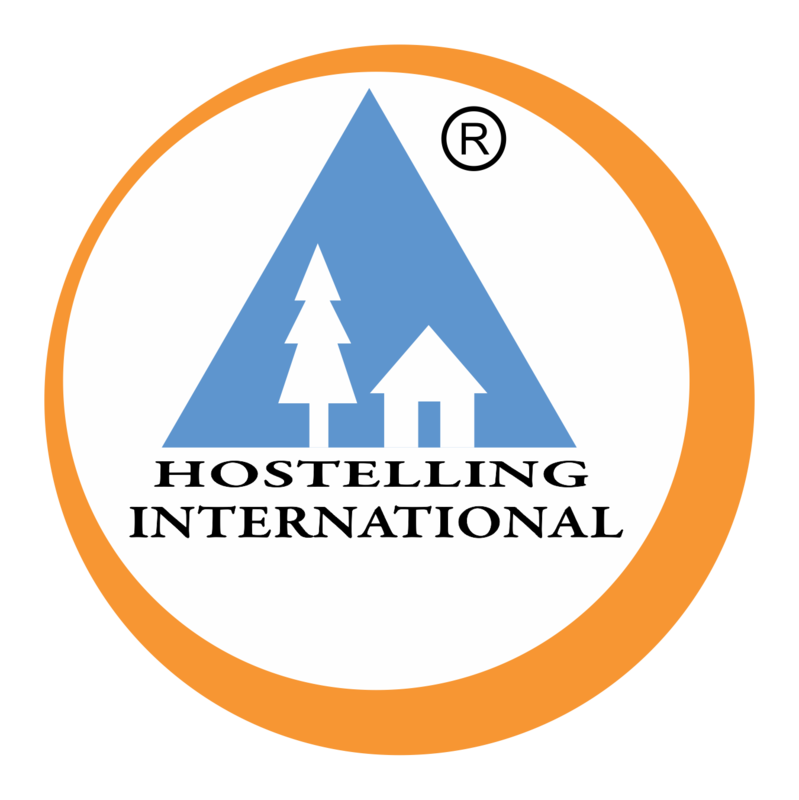 While every care has been taken to ensure safety, the Youth Hostels Association of India cannot be held responsible for any accident, illness and such other unforeseen eventualities during the program. Participants, who successfully complete the trekking and abide by the discipline of the program, will be awarded participation certificate. To provide underprivileged young men and women less than 30 years of age with an opportunity to participate in outdoor adventure activities / programs by YHAI in various parts of the country. Deserving participants may apply to the National Office YHAI supported by relevant document / certificates.